OPPO, a leading global technology brand, brought the recent Selfie Expert OPPO F1 Plus to Bangalore and it was showcased by none other than the ace cricketer and OPPO’s First Sports Ambassador for this cricket season Yuvraj Singh. 10 lucky draw consumers got the chance to be felicitated by Yuvraj Singh with signed OPPO F1 Plus phones as well as click selfies with the Indian International Cricketer. “Today, we are very excited to showcase the OPPO F1 Plus in Bangalore along with Yuvraj Singh. It is a proud moment for us to receive such warm welcome from our Indian consumers and we thank them for all their support.” Said Bin Ding, showroom manager-Karnataka, OPPO Mobiles India. 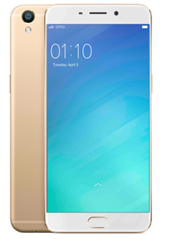 The Selfie Expert OPPO F1 Plus was recently announced in the Indian market to enhance the selfie experience of its consumers. As an upgraded version of the Selfie Expert, the F1 Plus is taking selfies to a whole new level by sporting a world leading 16MP front camera with F/2.0 aperture and ISOCELL sensor. The F1 Plus 16MP front-facing Hi-Light Camera has been purpose-built for catching clear, vivid photos in any lighting condition. Paired with the new Selfie Panorama feature, Beautify 4.0 and the front-facing Screen Flash, the Hi-Light Camera will allow users to get the perfect shot on the first snap, anywhere and anytime. Rounding out the F1 Plus’s outstanding photography experience is the fast, steady and crystal-clear 13-MP rear shooter.